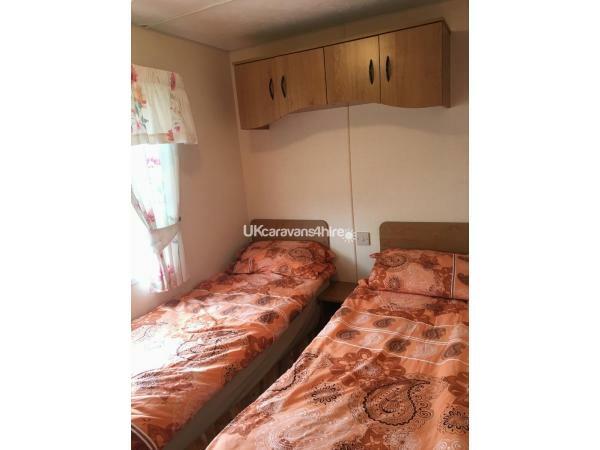 All we ask is for our guests to treat our lovely cosy caravan like it was there own, we require 50 pounds security bond to book and full payment for your holiday 4 weeks before hand, thank you. 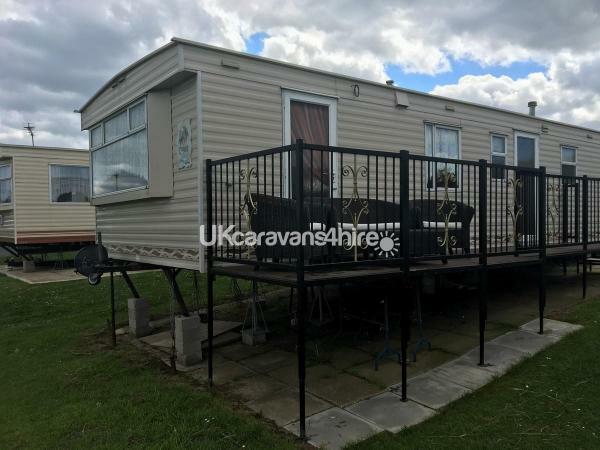 The caravan is situated in a prime location on the park, the complex is 50 meters from this static caravan which believe me is a bonus when using the facilities, swimming pools, bars, restaurants, office, spar shop, cafe, chip shop, bus terminus, washing machines. As there are caravans on the park that are a million miles away from all this !! 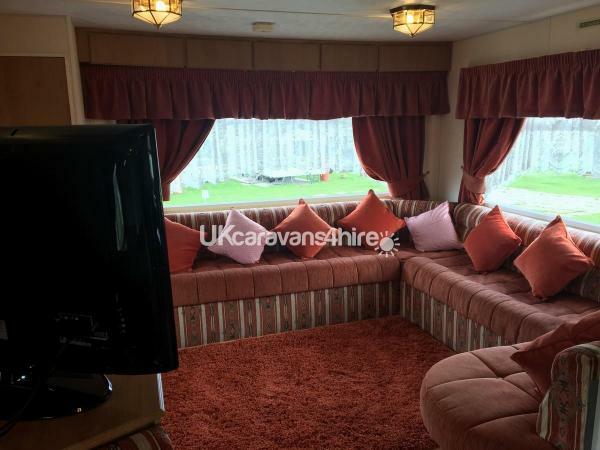 The lounge has a comfortable wrap around settee. 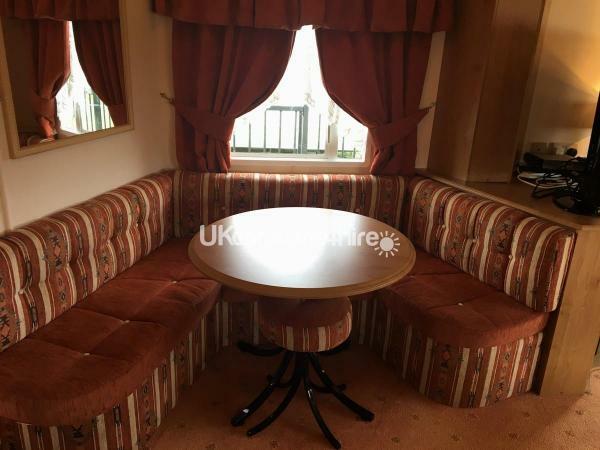 This settee converts into a double bed if required. The fire gives the lounge a lovely cosy feel at night. 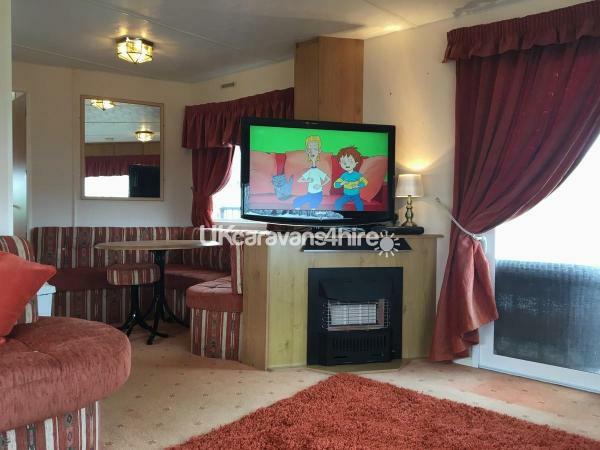 There is a television and DVD player and Freeview channels. 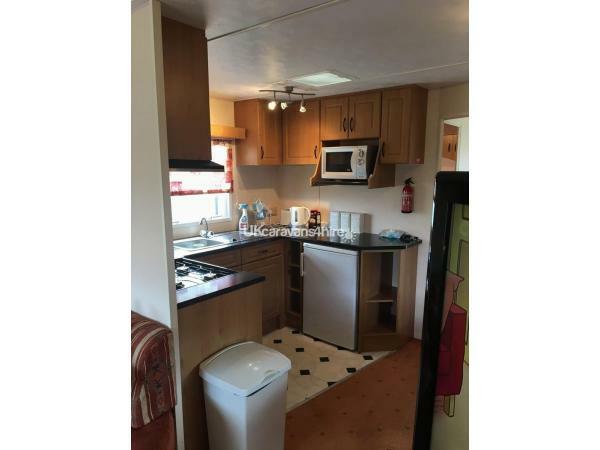 The kitchen area has a microwave, gas cooker, fridge, kettle and toaster. There are plenty of pots and pans, crockery, cutlery and kitchen utensils. 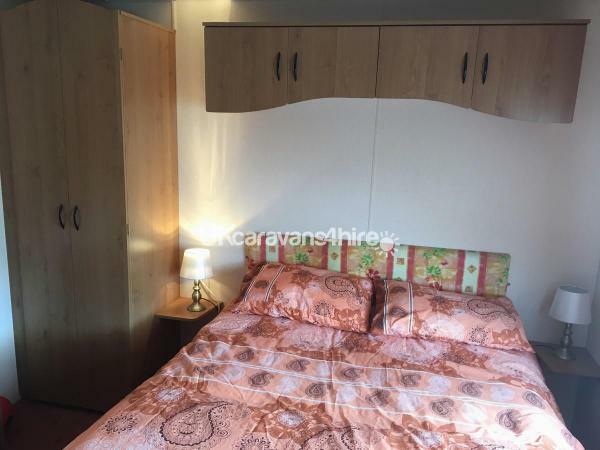 The large master bedroom has a comfortable double bed, double wardrobe, dressing table and stool and lots of extra storage space. A hairdryer, iron and ironing board available also. There is an en-suite toilet and wash basin. The second bedroom has twin beds, wardrobe and cupboards. The shower room has a large shower cubicle, wash basin and vanity unit and storage for towels etc The veranda has a table and chairs for relaxing and enjoying the view. 7 day bookings only, over the high season (July, August), it may be possible to book Monday to Friday. We also welcome 7 days and longer stays also. 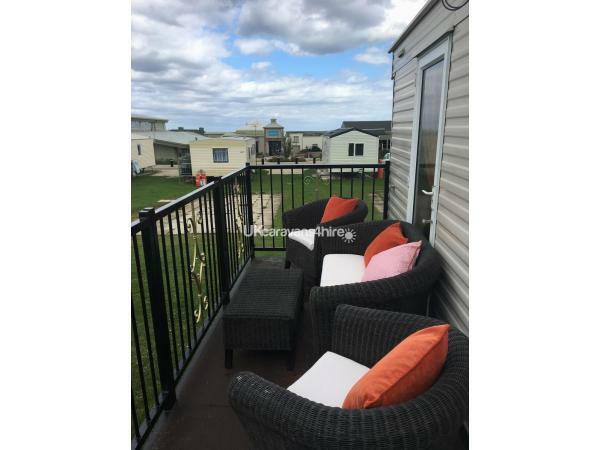 Thornwick Bay Holiday Village is in an ideal location adjacent to the magnificent chalk cliffs, picturesque bays, caves, and seabird colonies. The village of Flamborough is a short walk away and is full of character. There are plenty of places to eat and drink in and around the village. The area is noted for its natural beauty and is perfect for birdwatchers and walkers. The RSPB seabird colony at Bempton is only a few miles walk up the coastal pathway but can also be visited by driving north towards Filey. Nearby is the family seaside resort of Bridlington with its beautiful sandy beaches. It has a bustling harbour and sea front with lots to do for all ages. The historic Old Town area is well worth a visit. It 'became' Warmington-on-Sea for the filming of the recent Dad's Army film. Half-way between Flamborough and Bridlington is Sewerby Hall. The house and grounds have been transformed in the last few years to provide an interesting and enjoyable day out for all the family. The house is a living museum of life in the Victorian era providing an insight into the lives of the the owners and their servants. It also has section devoted to the life of Amy Johnson. The extensive grounds include a zoo, walled garden, cafe, shop and nature walks. NO SMOKING IN THE CARAVAN ON THE VERANDA IS FINE ! TEA, COFFEE, SUGAR, MILK, TOILET ROLL ALL INCLUDED ASLO. please let us know in advance if you require a high chair.